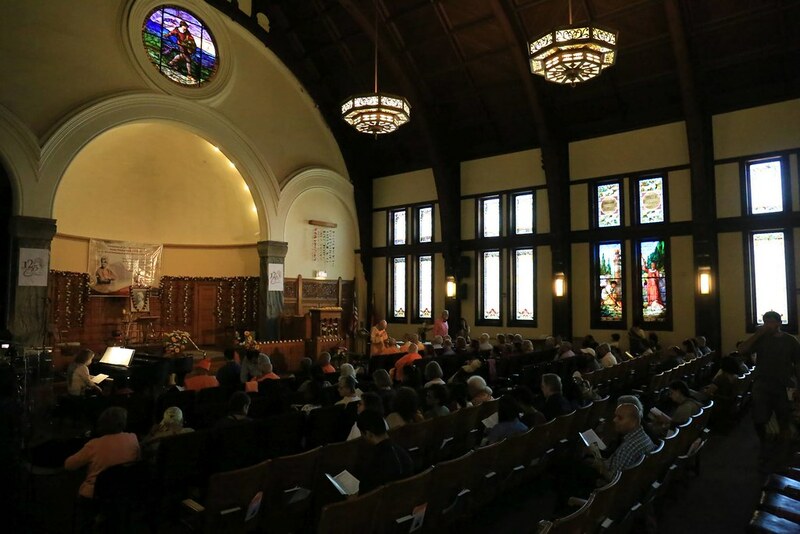 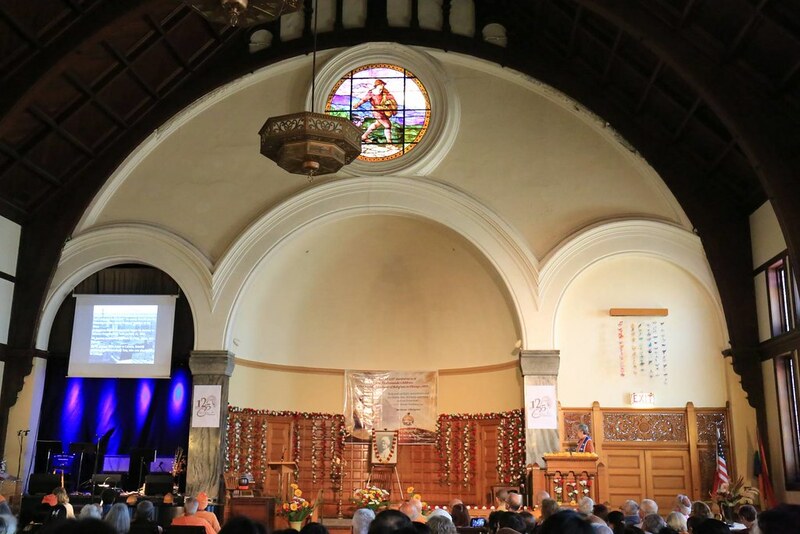 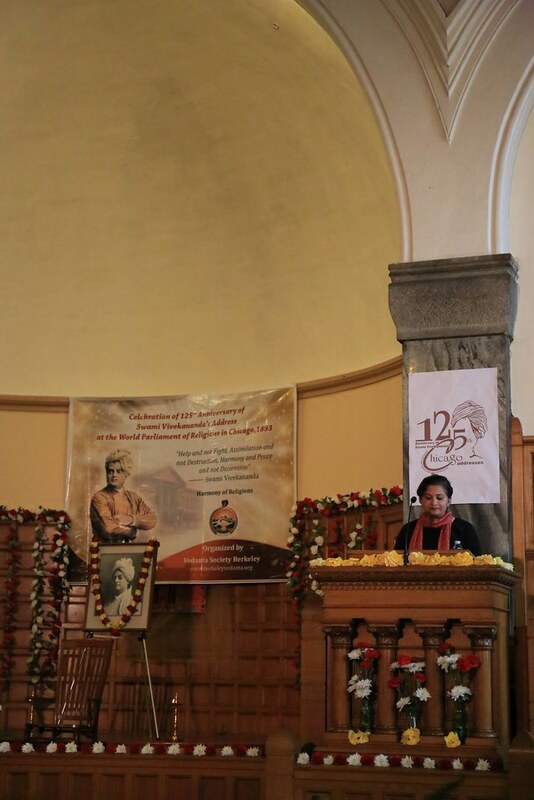 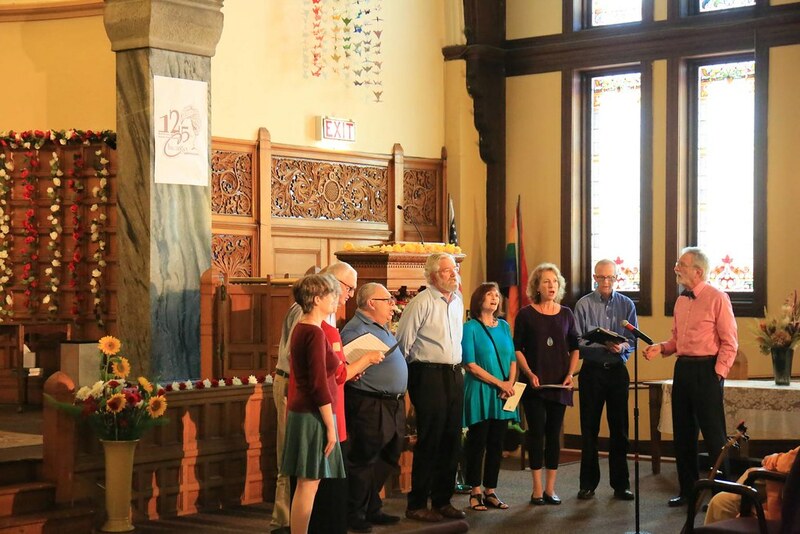 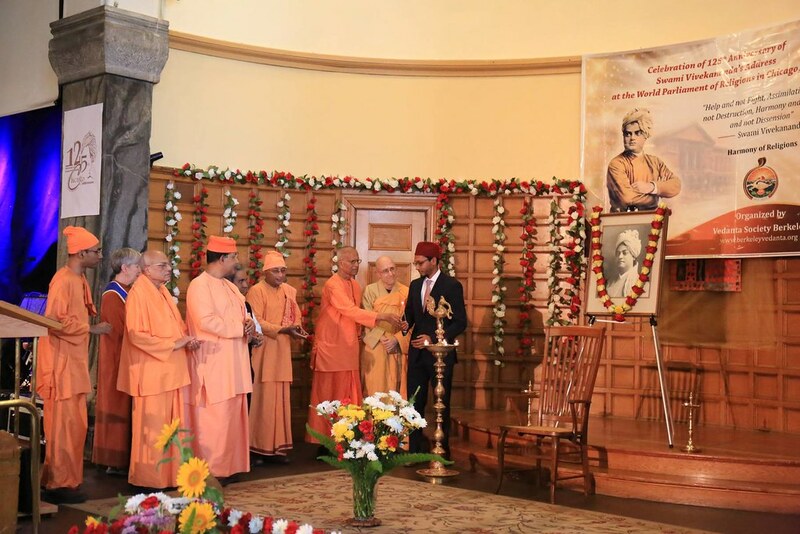 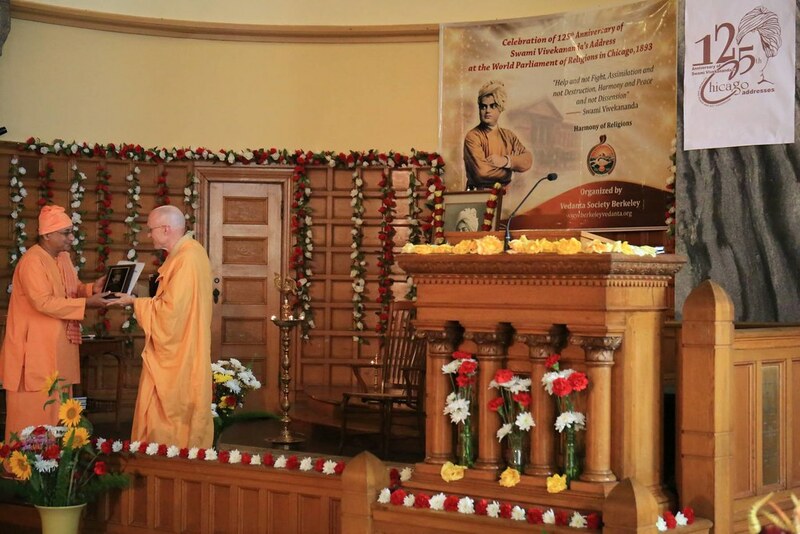 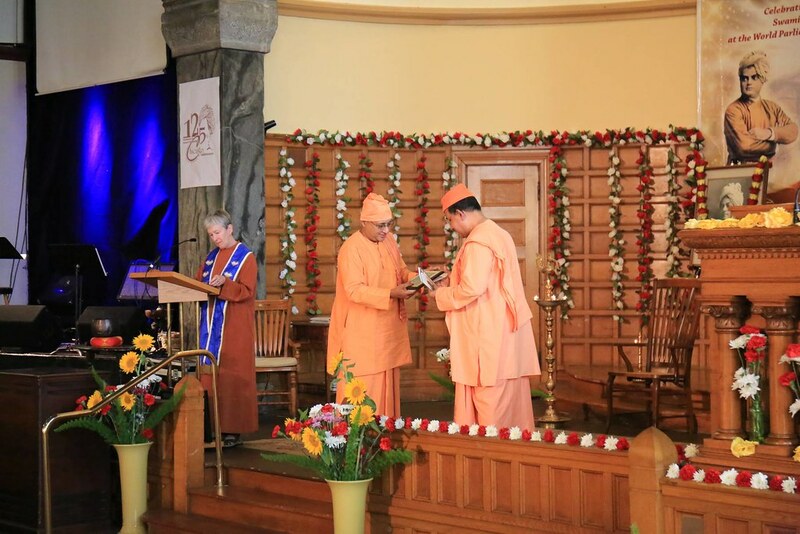 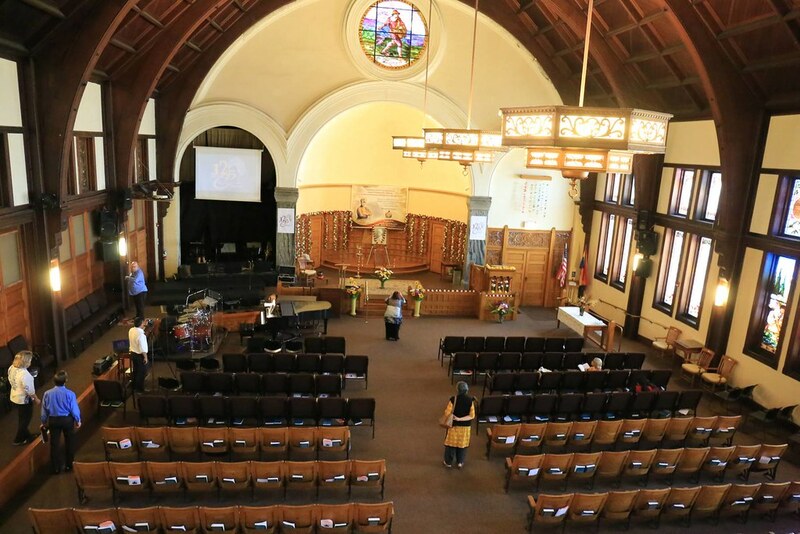 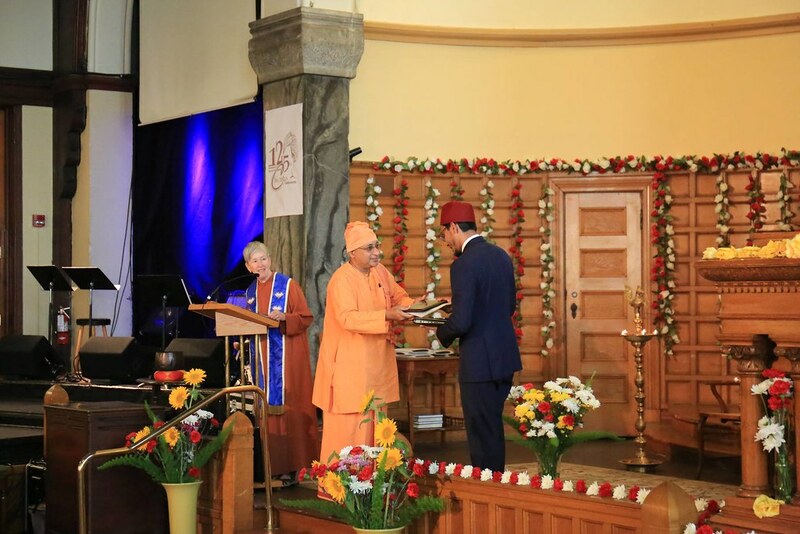 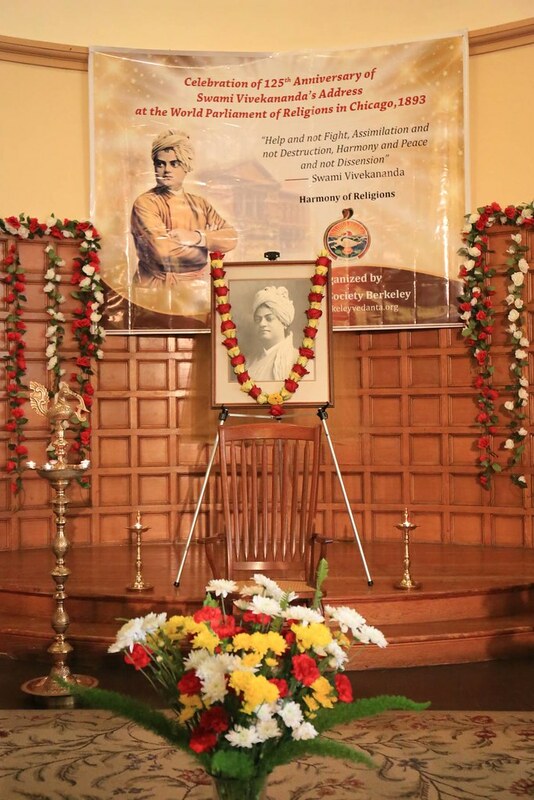 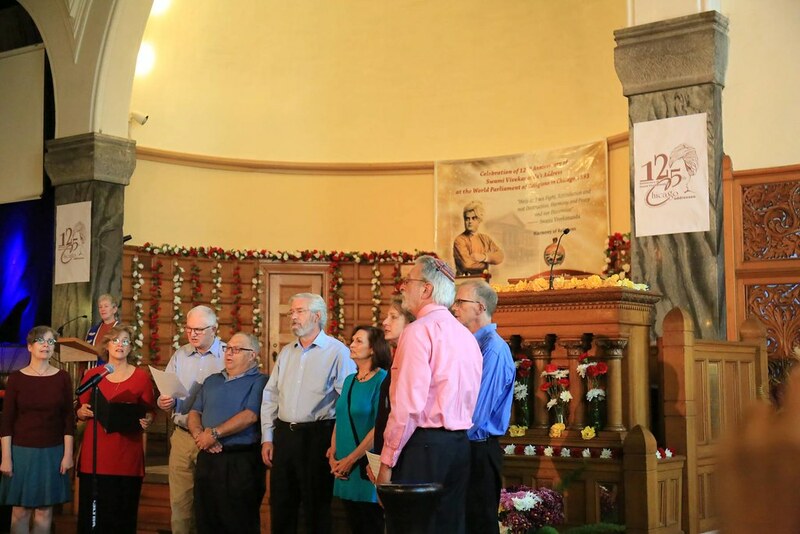 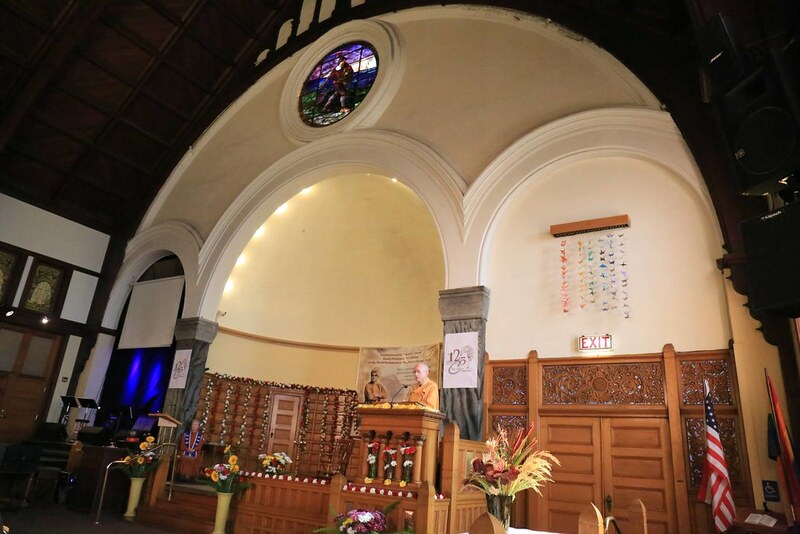 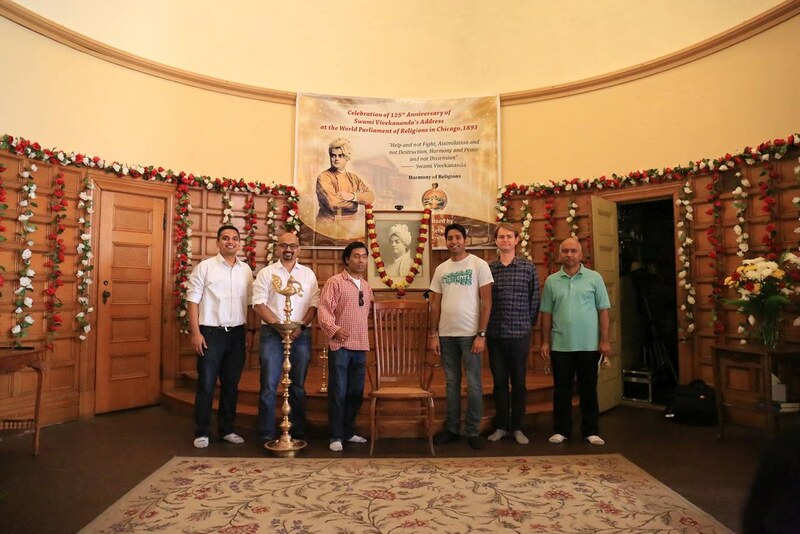 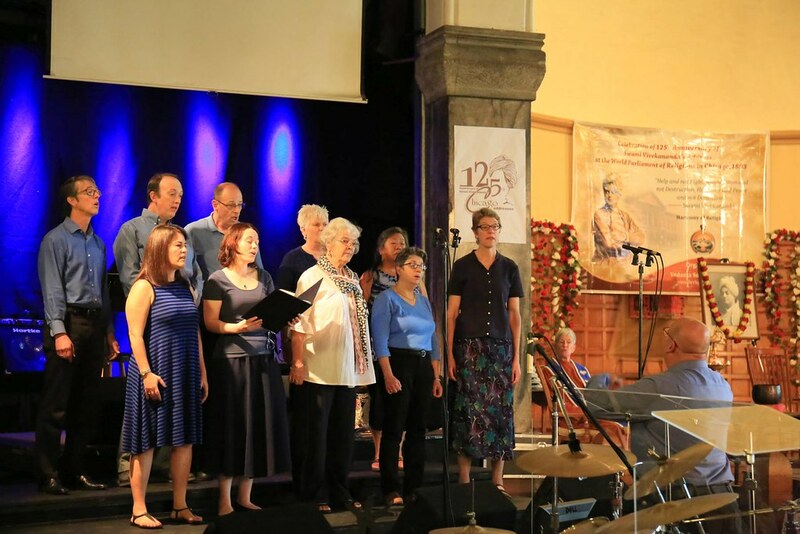 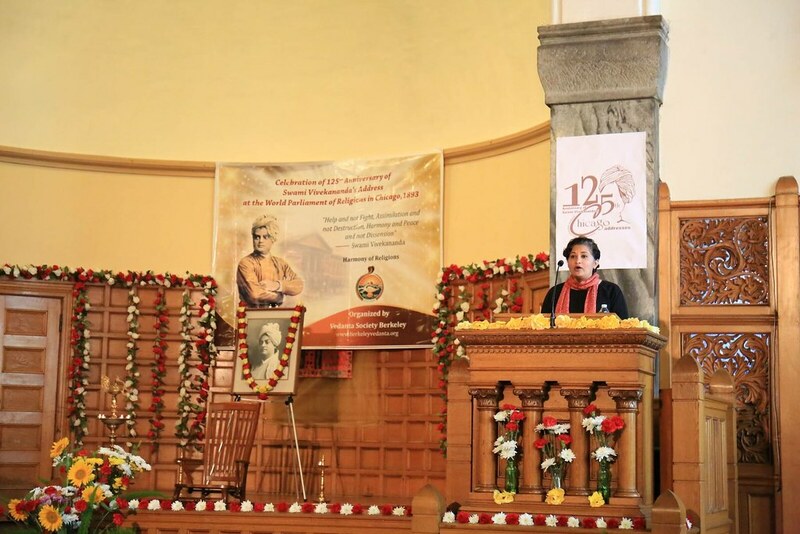 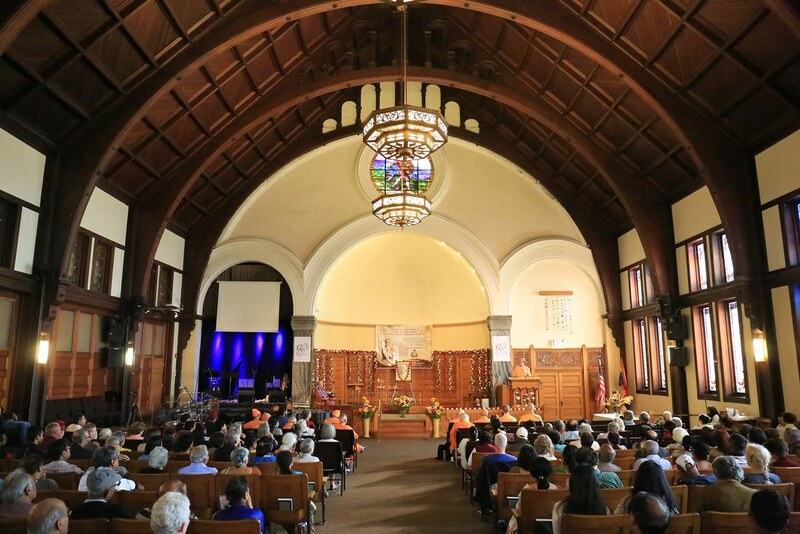 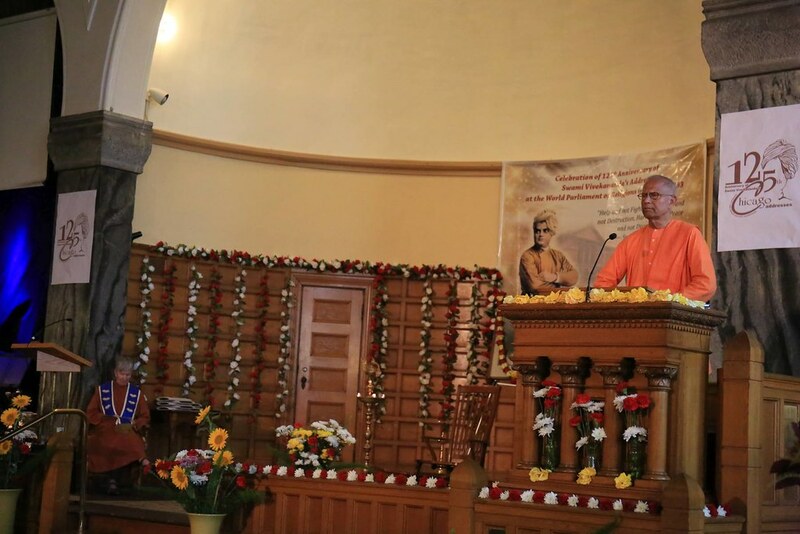 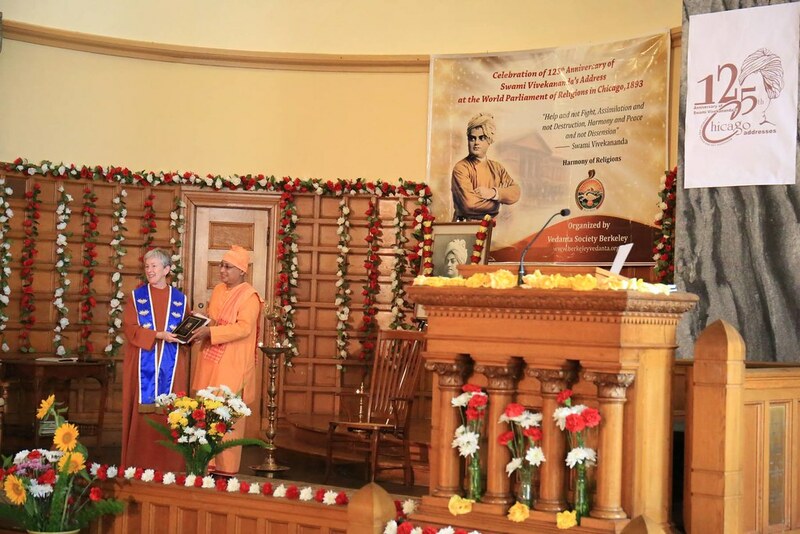 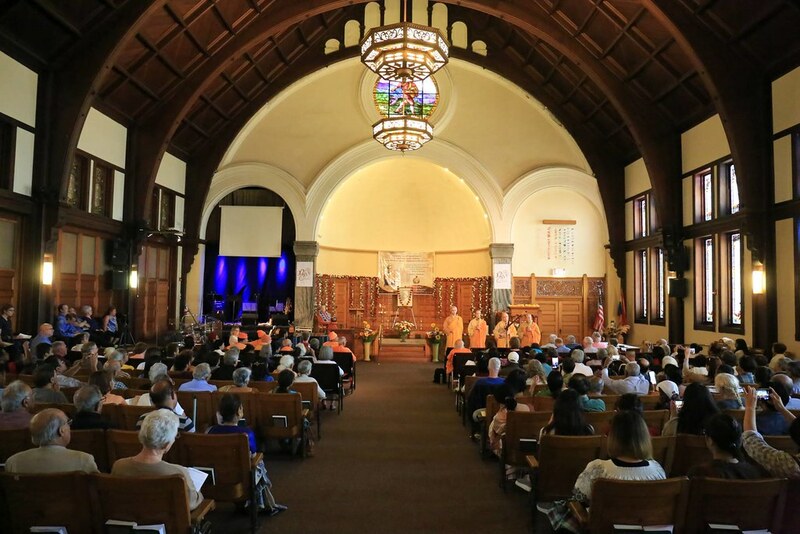 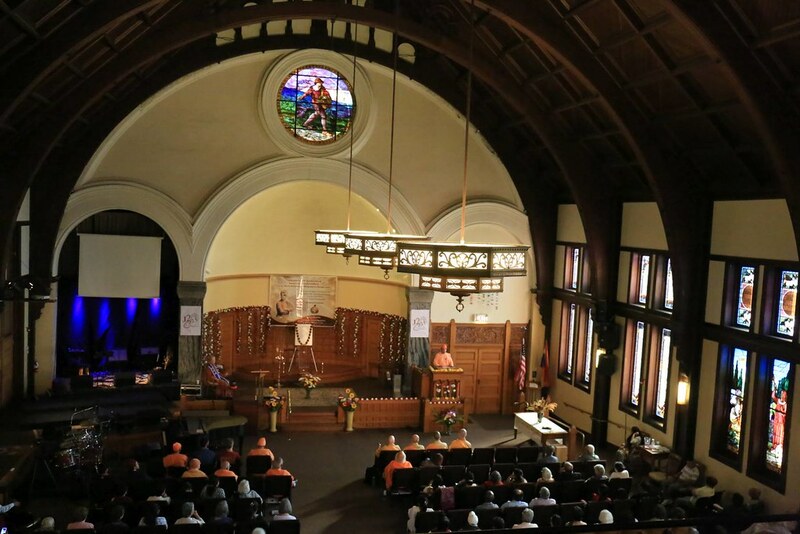 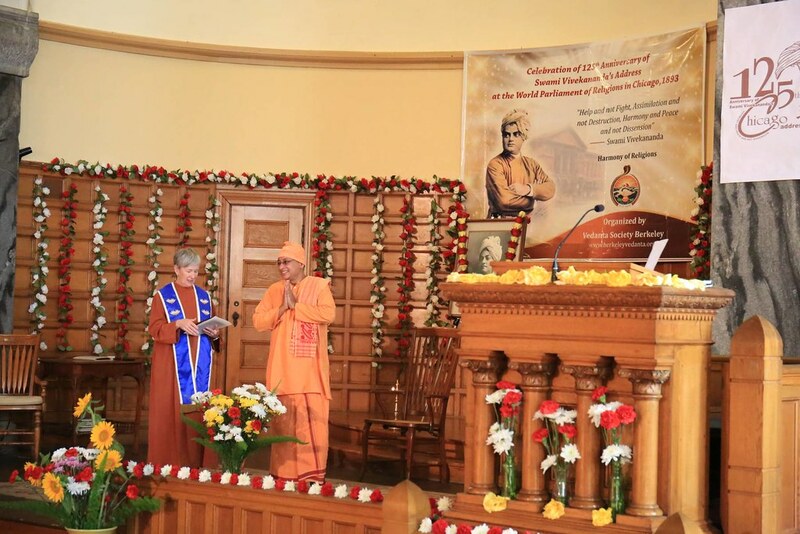 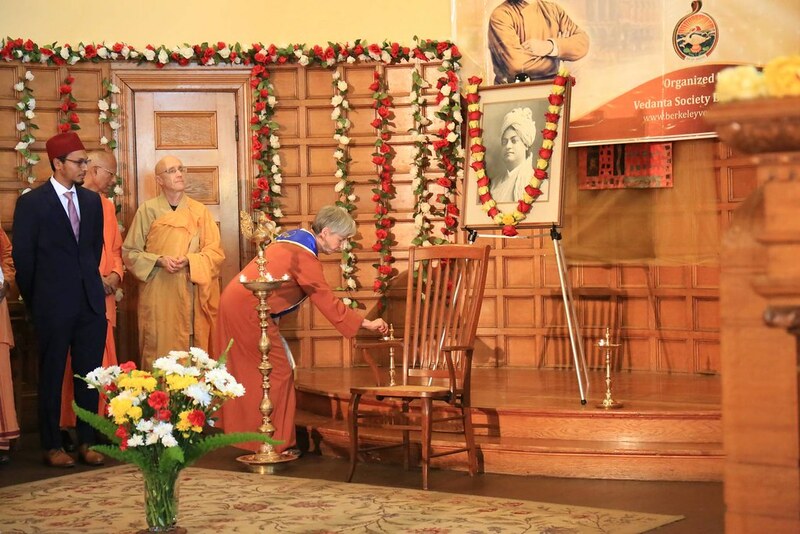 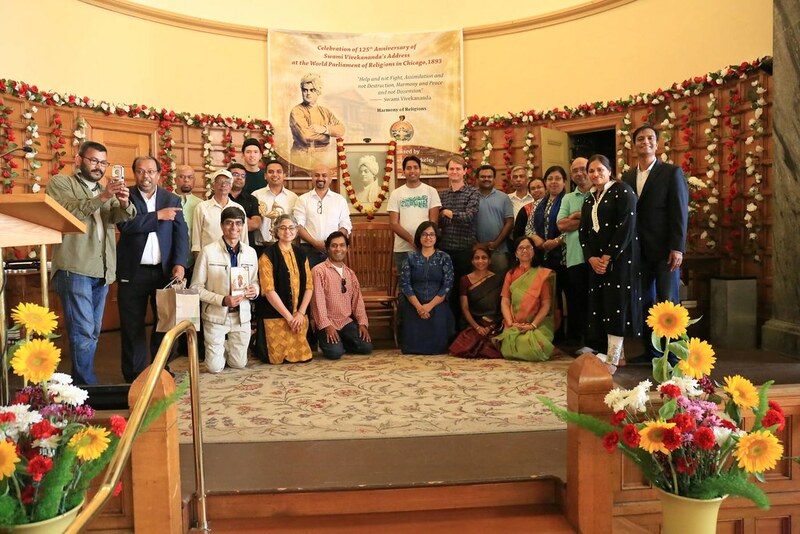 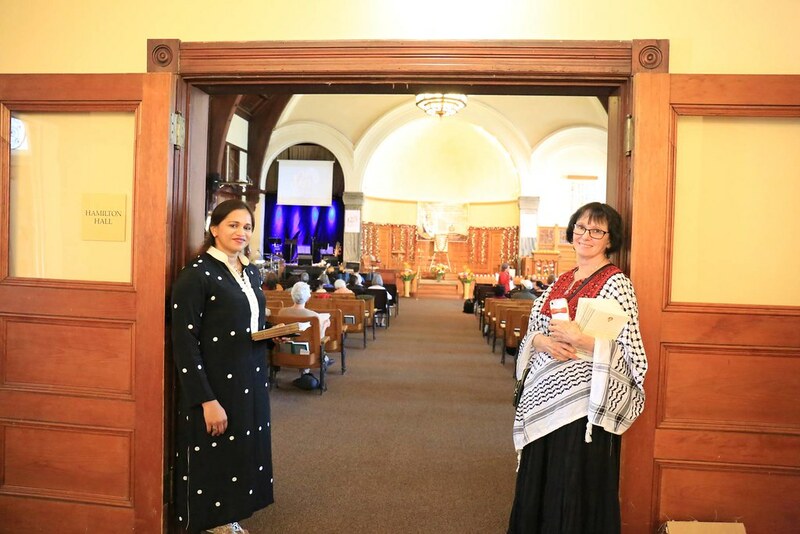 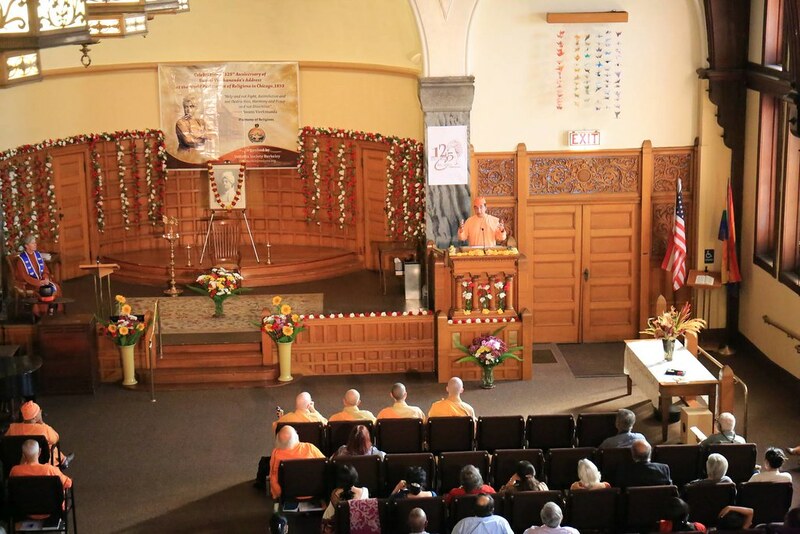 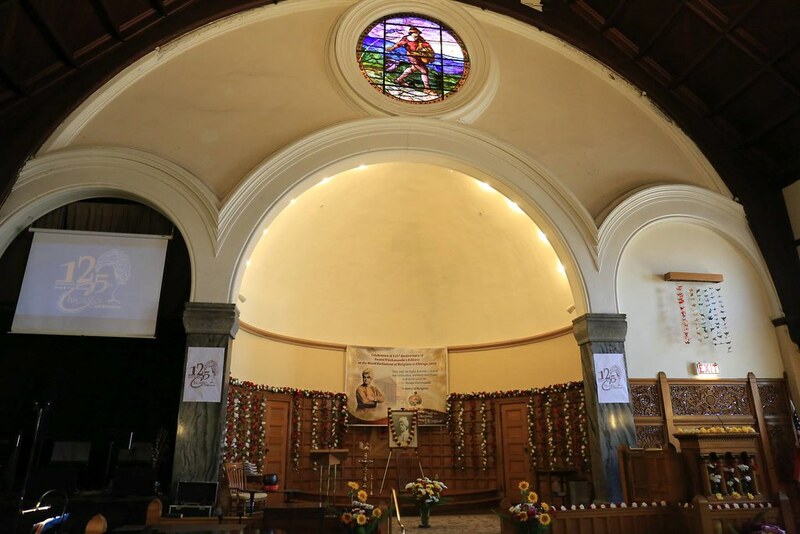 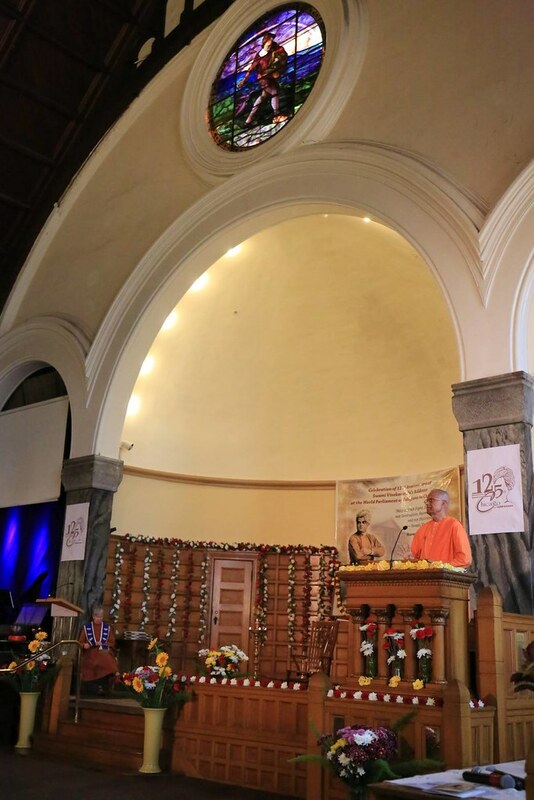 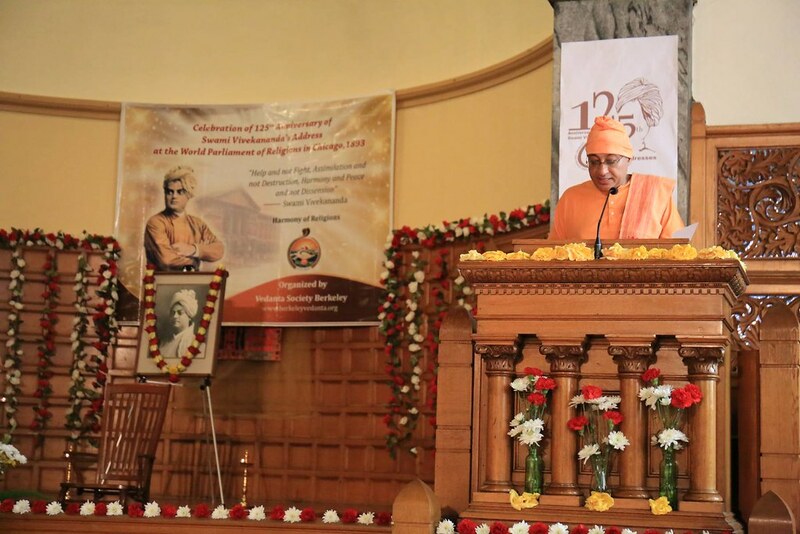 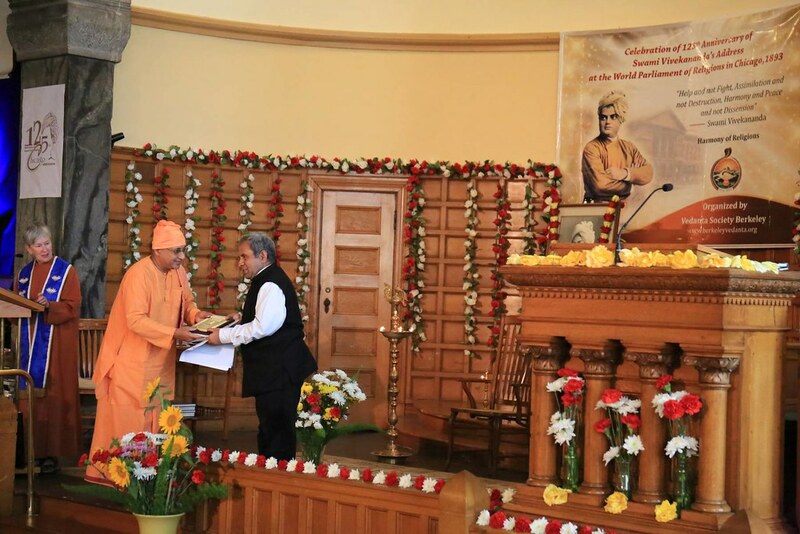 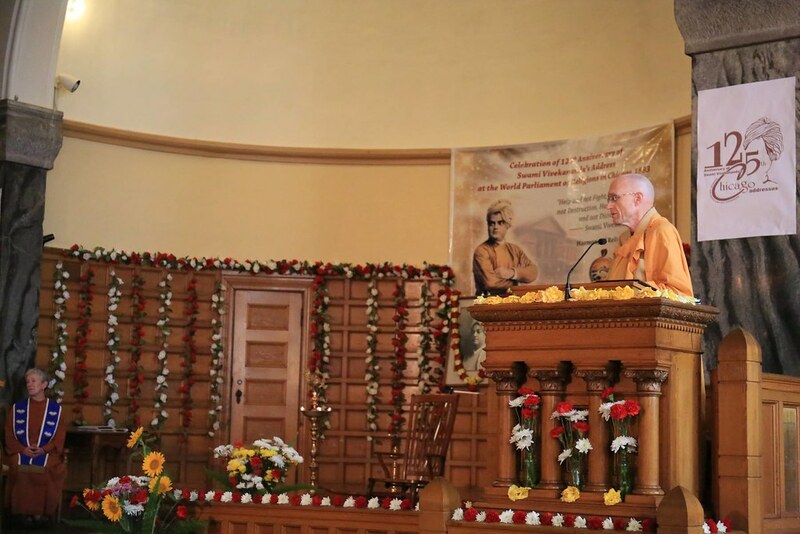 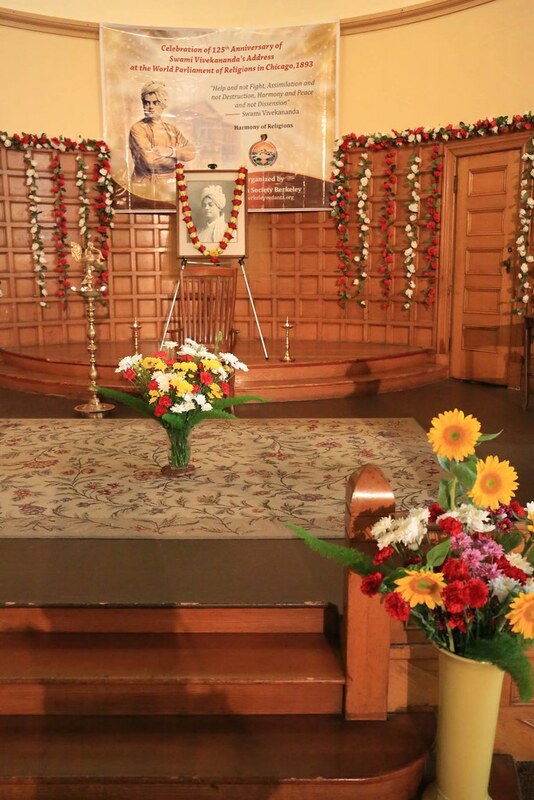 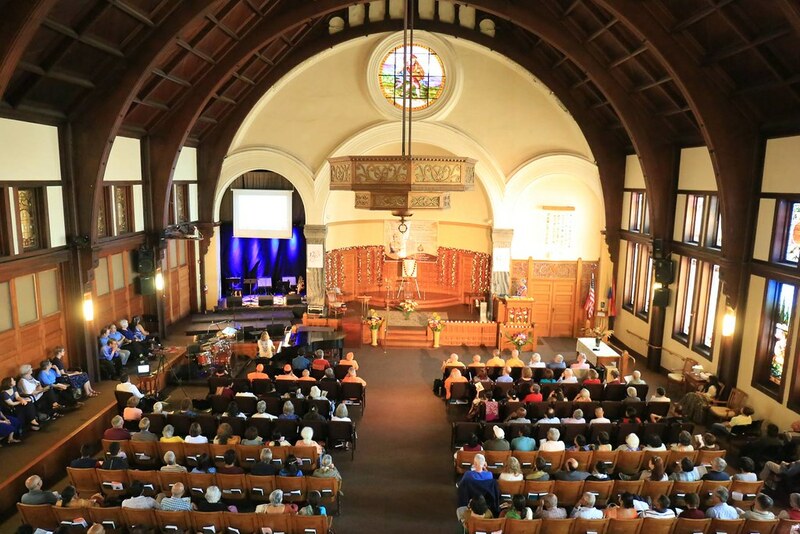 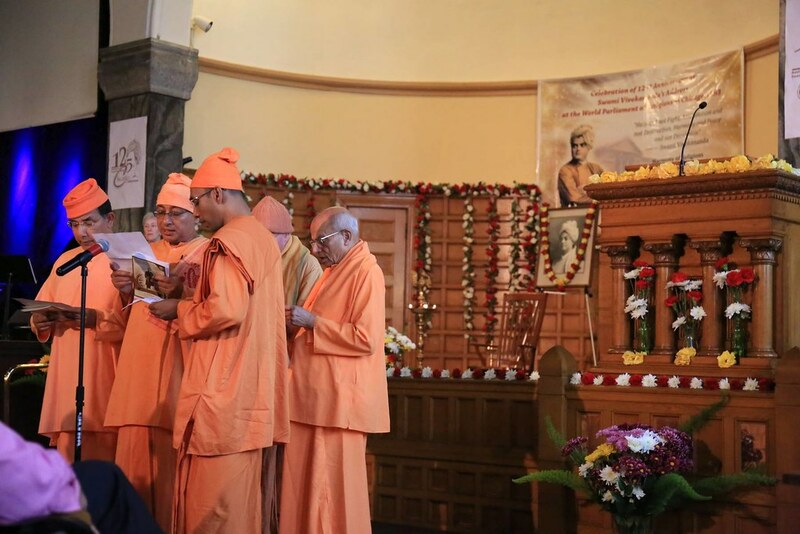 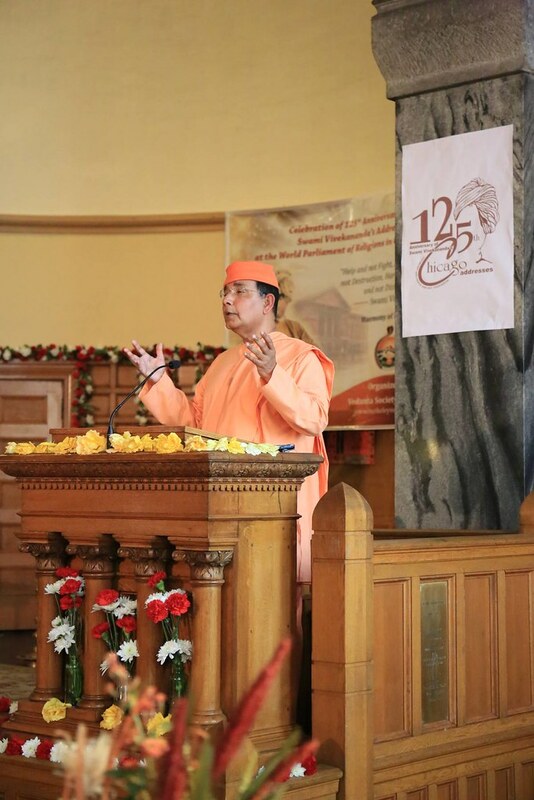 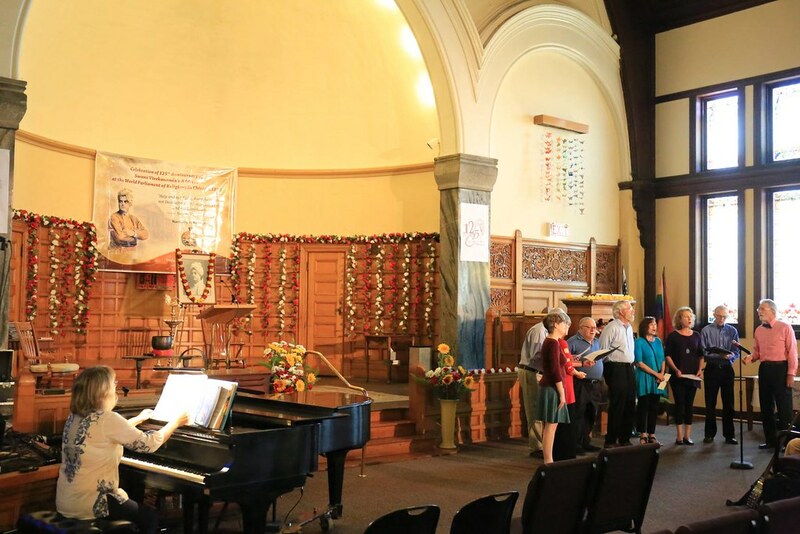 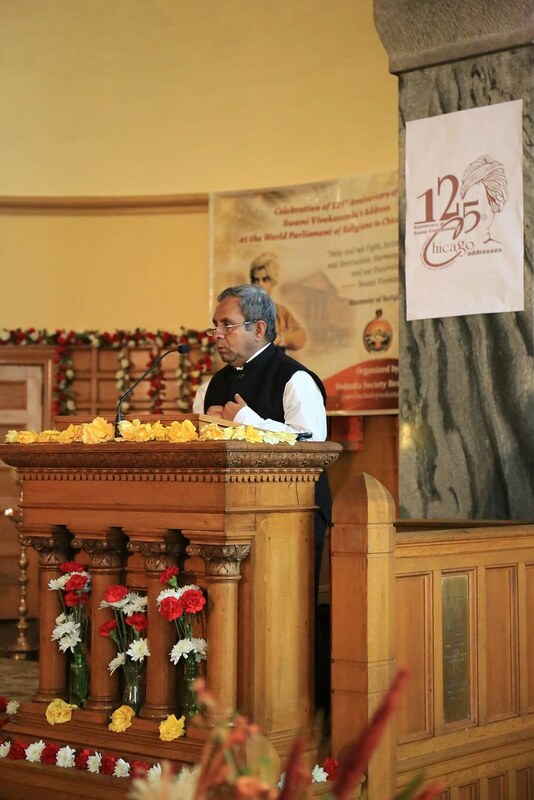 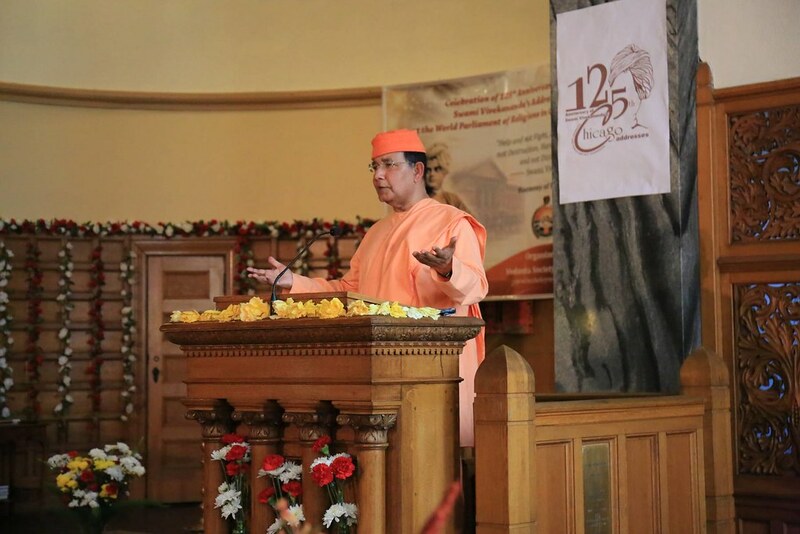 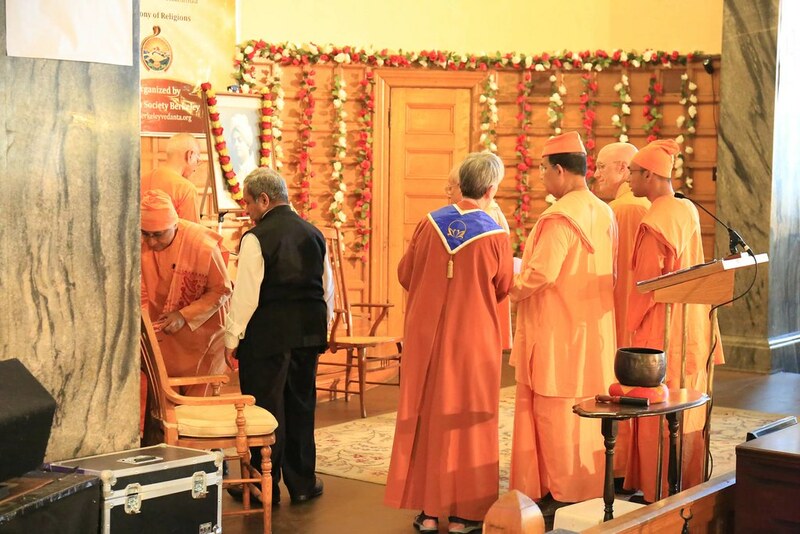 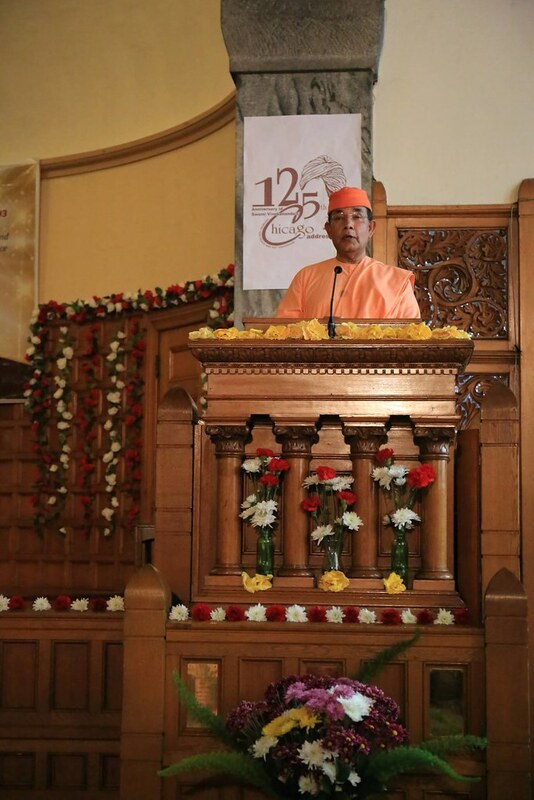 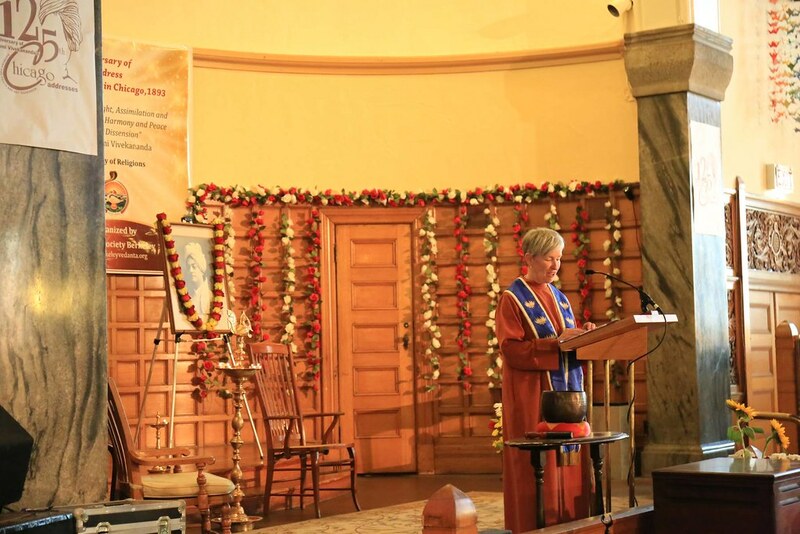 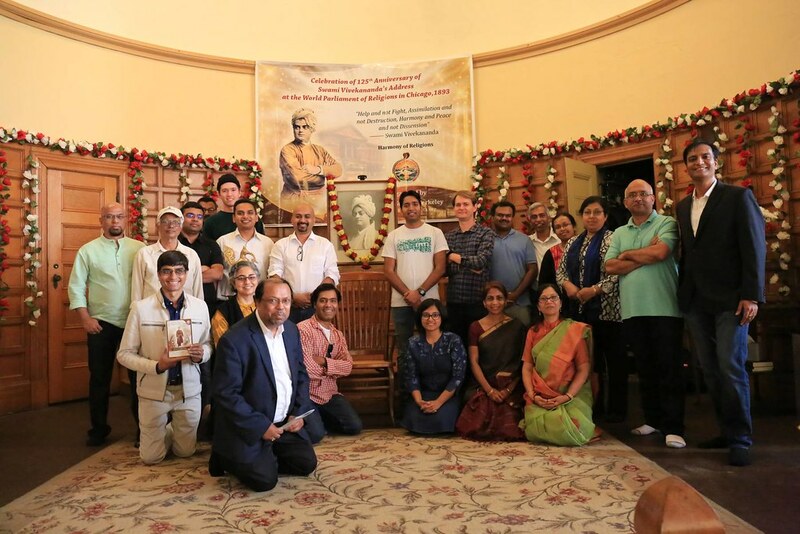 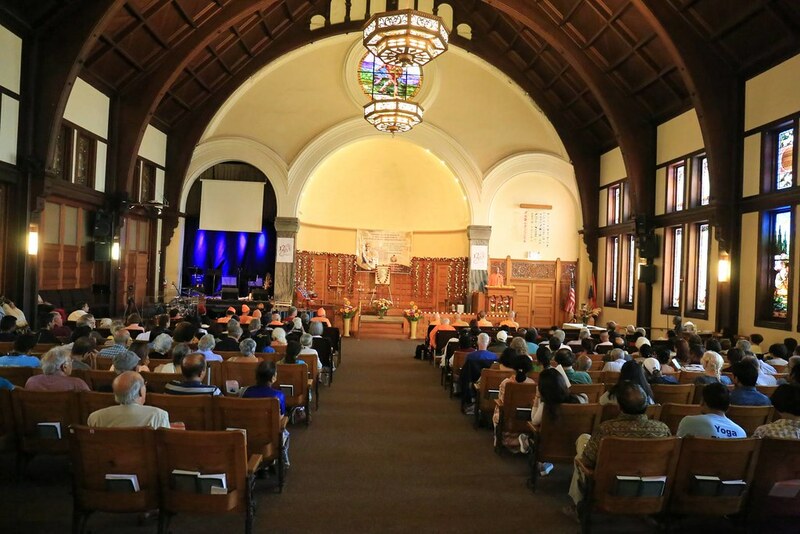 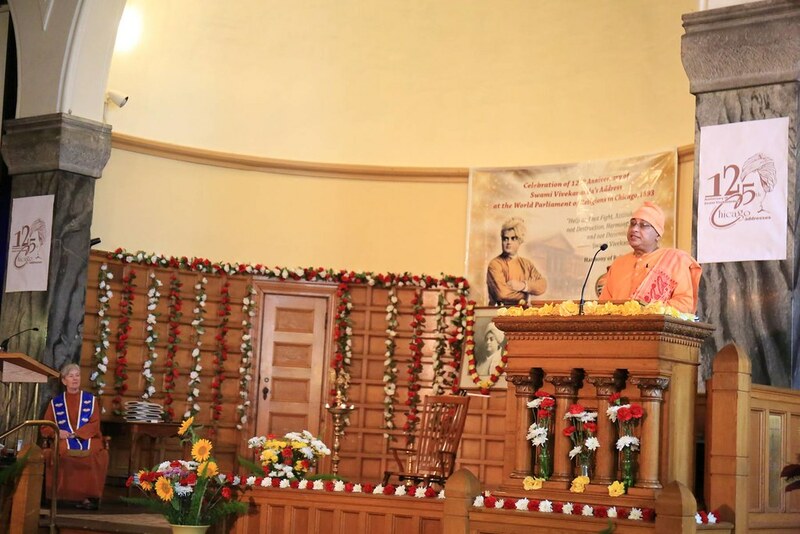 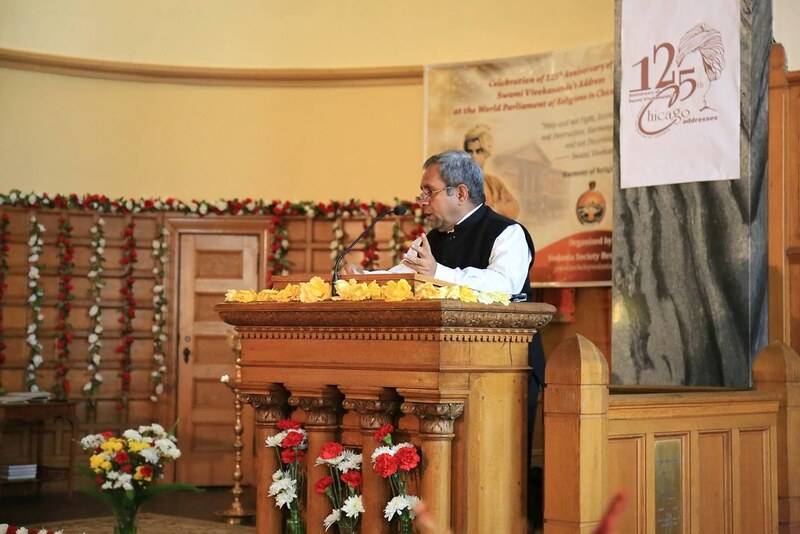 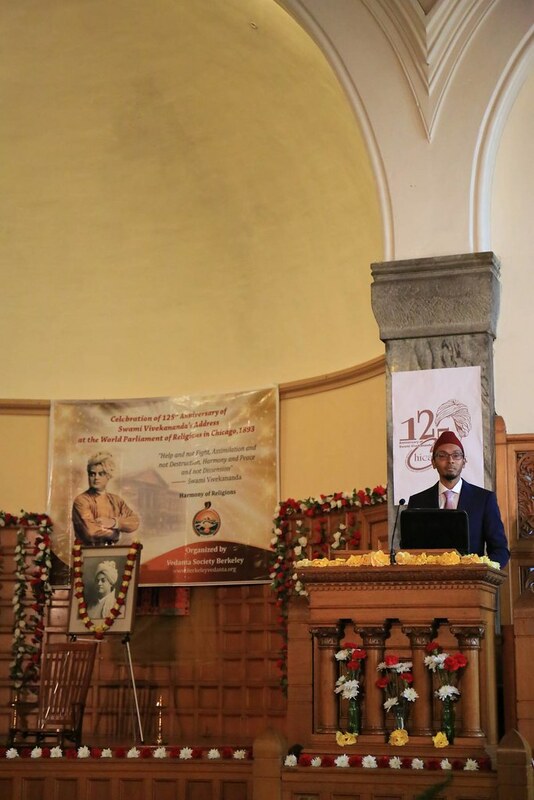 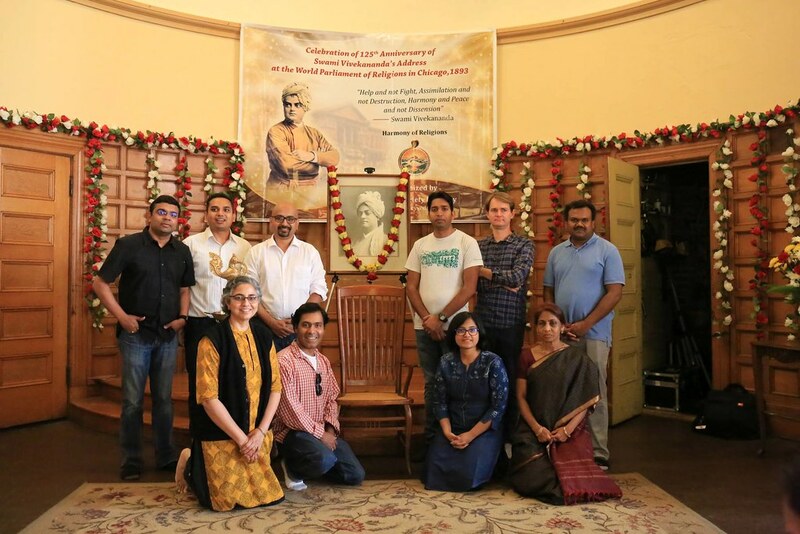 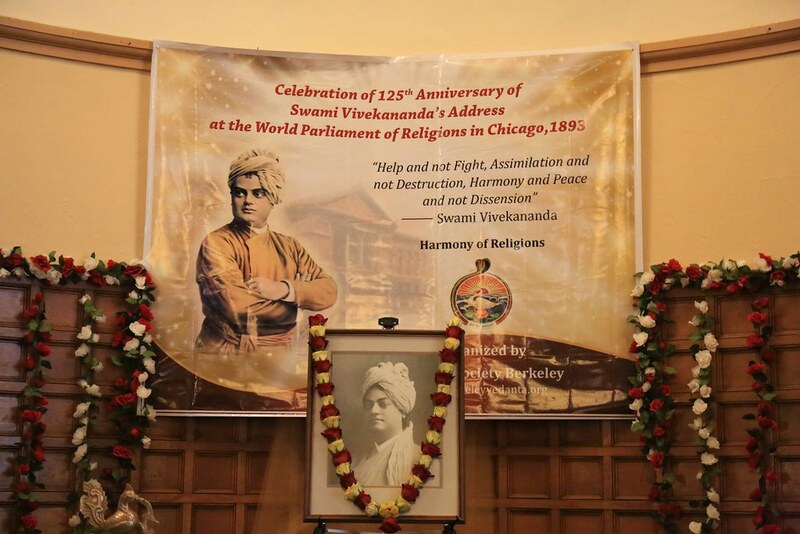 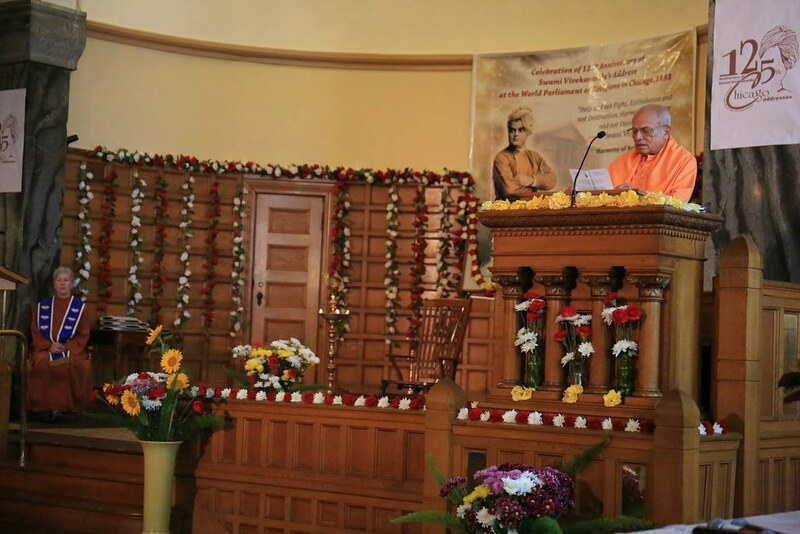 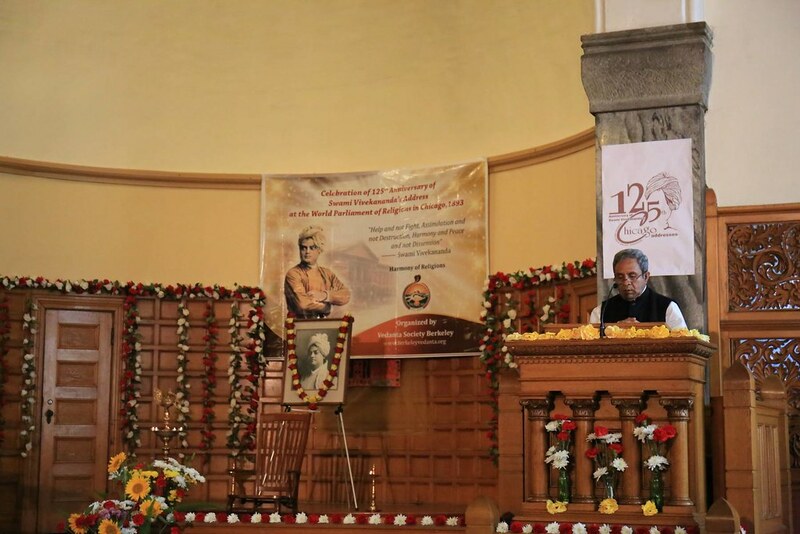 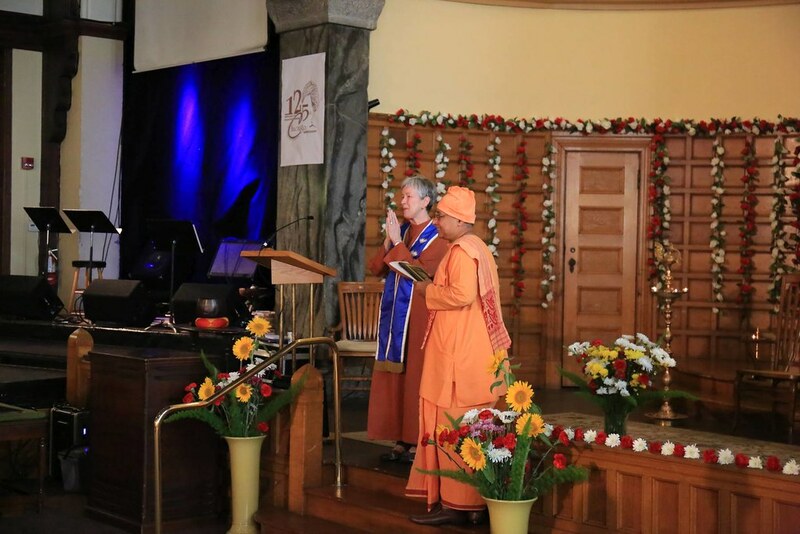 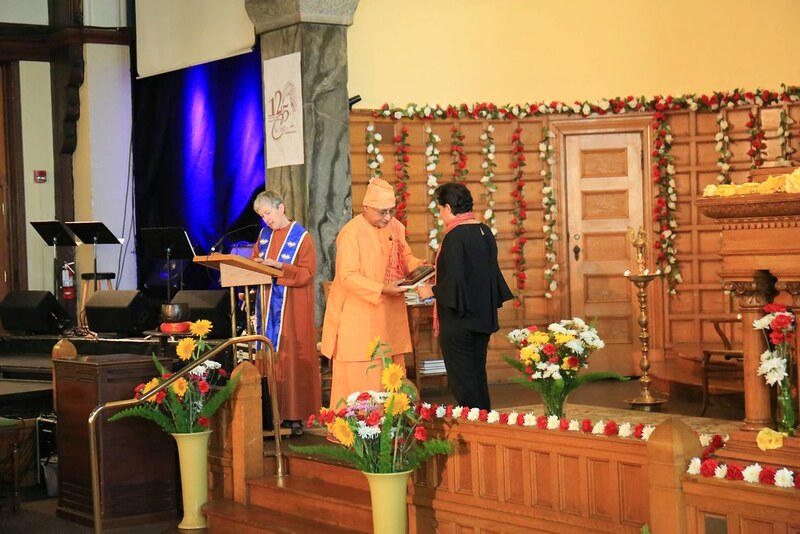 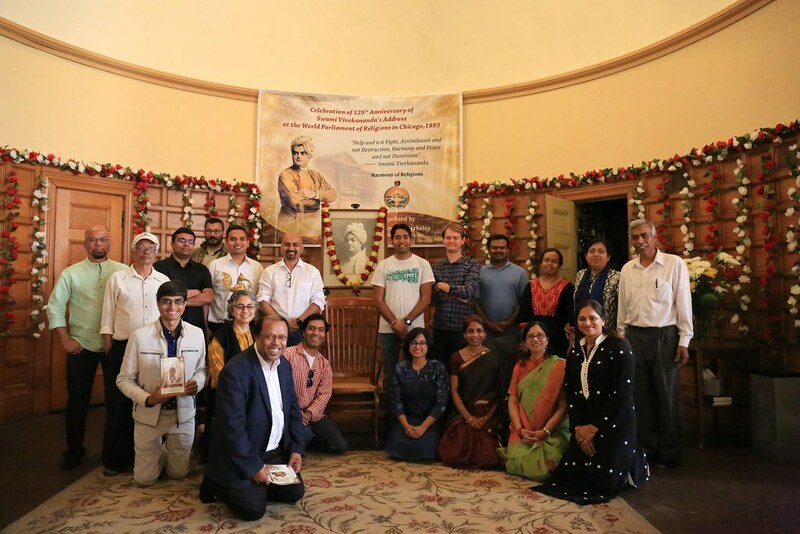 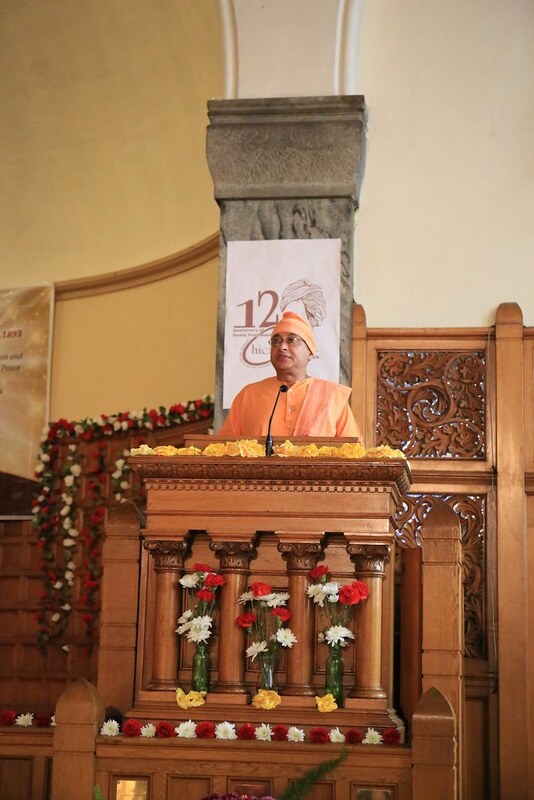 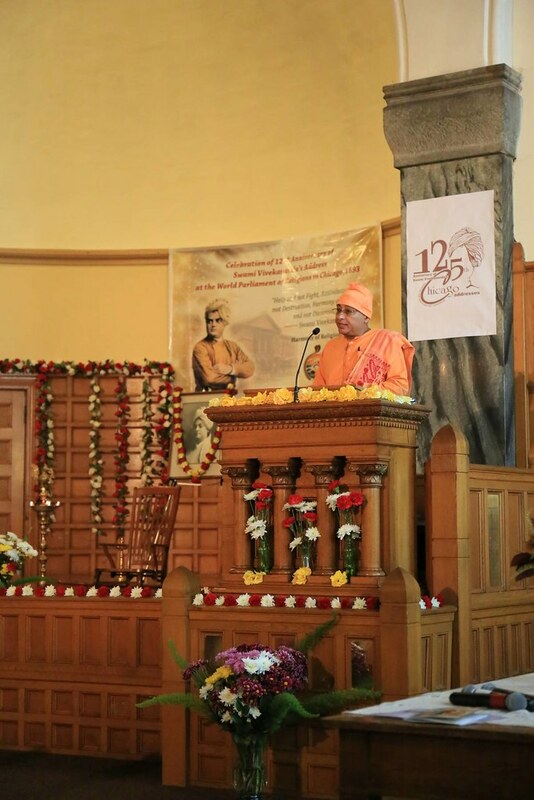 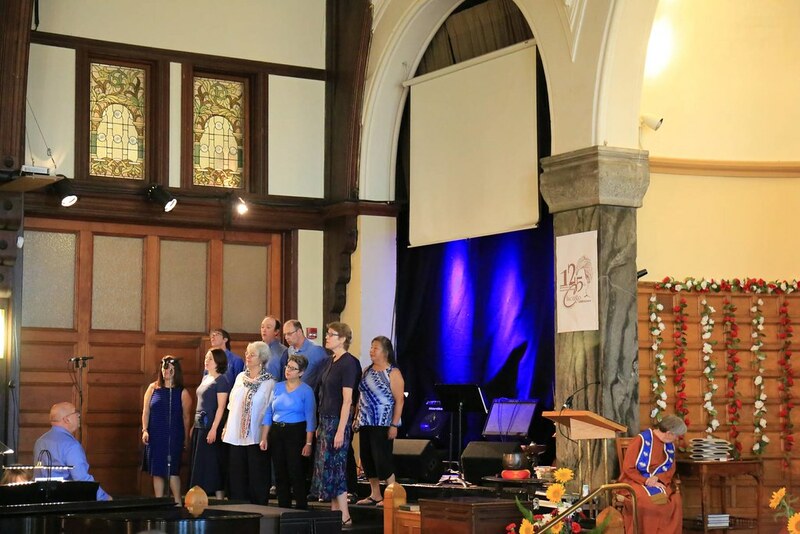 Vedanta Society, Berkeley, celebrated the 125th Anniversary of Swami Vivekananda’s Chicago Addresses, in the First Unitarian Church of Oakland, California. 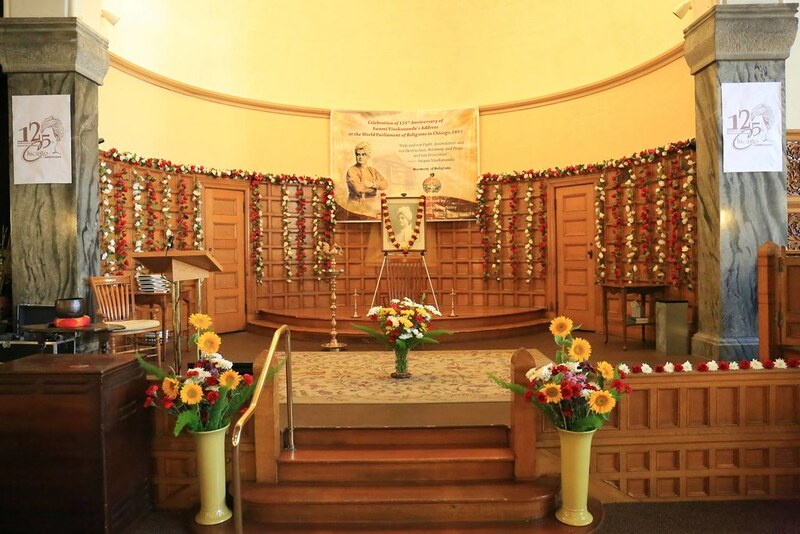 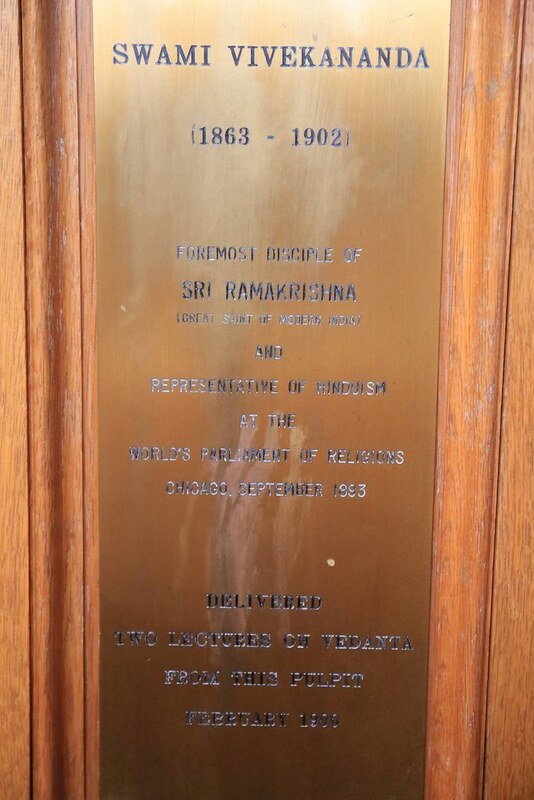 Swami Vivekananda delivered his initial talk at the First Unitarian Church of Oakland on the evening of February 25, 1900 from the pulpit of Hamilton Hall. 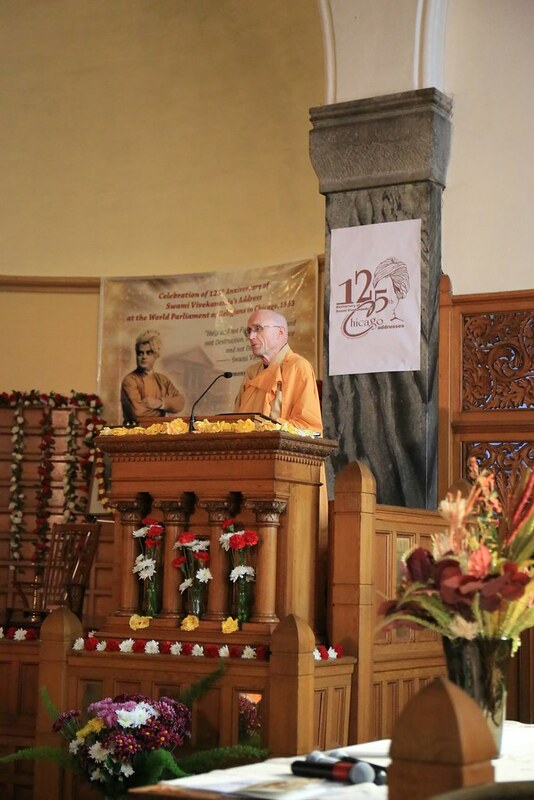 Two thousand people listened in rapt attention as the Swami spoke on, “The Claims of Vedanta On the Modern World.” Some days later he gave another public lecture on “Vedanta and Christianity,” and in March two series of three lectures each in the adjoining Wendte Hall. 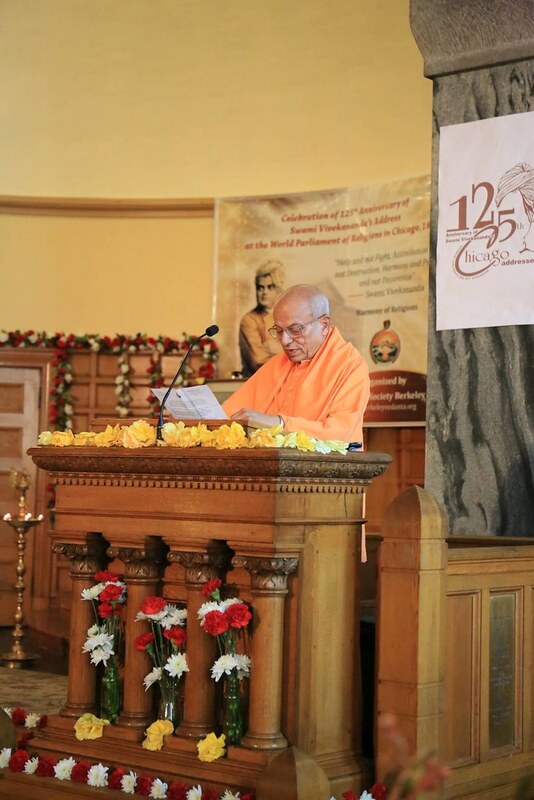 The first series was on the principles and philosophy of Vedanta and the second on India’s customs and culture. 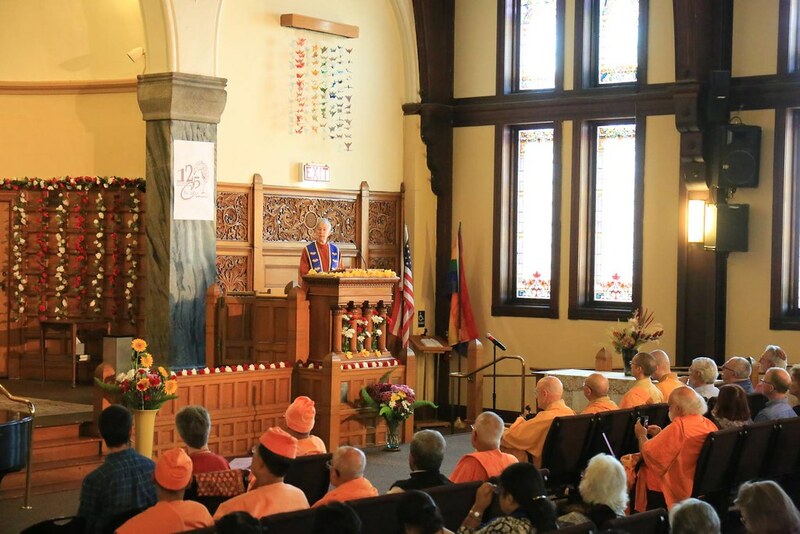 Reverend Mills’ expectations regarding the Swami’s effect on the congregation were completely fulfilled. 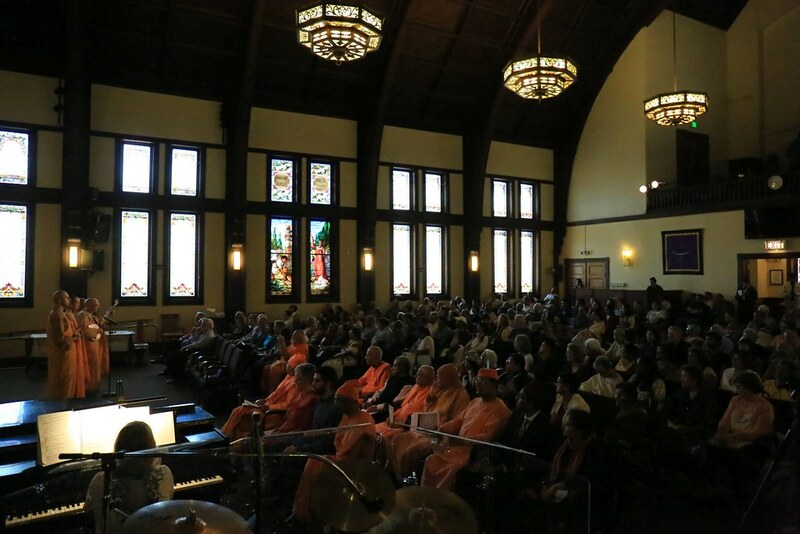 As many as 500 people had to be turned away for lack of space. 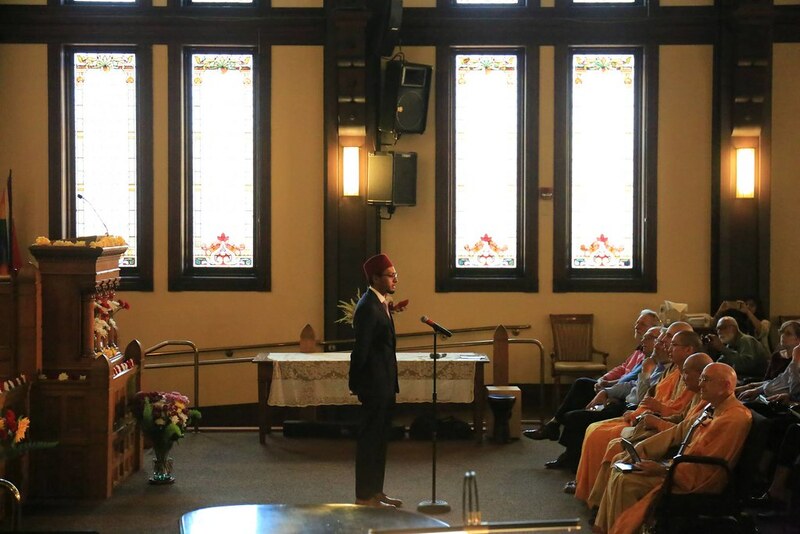 All of his talks drew large crowds, who sat or stood on the edges of the foyer, enthralled, listening to his words of ancient wisdom. 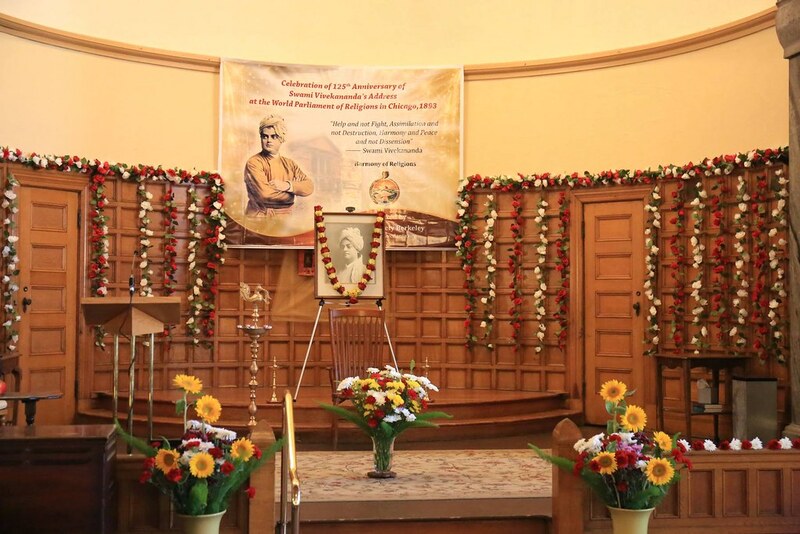 Through these lecture series, which were covered colorfully by the local newspapers, Swami Vivekananda became known to a wider section of the Oakland population. 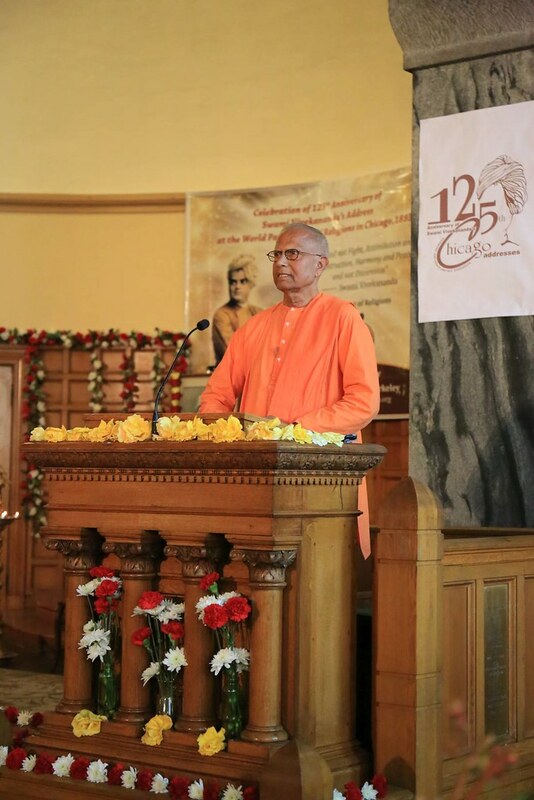 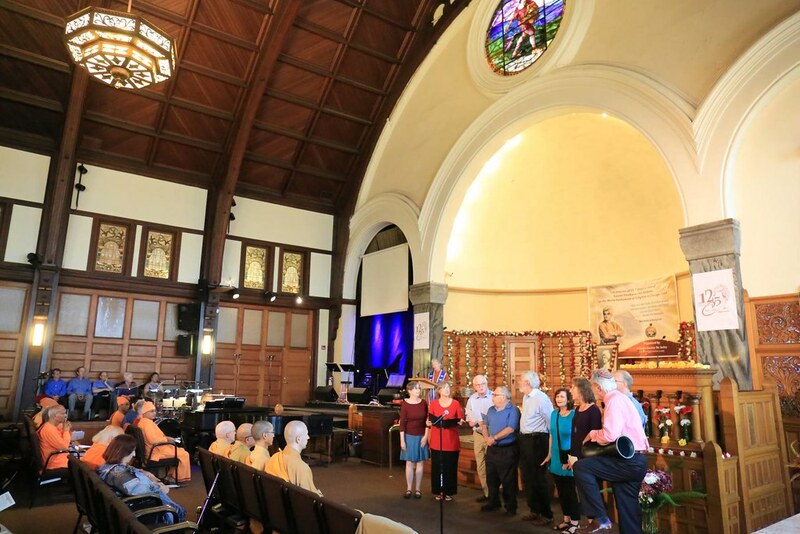 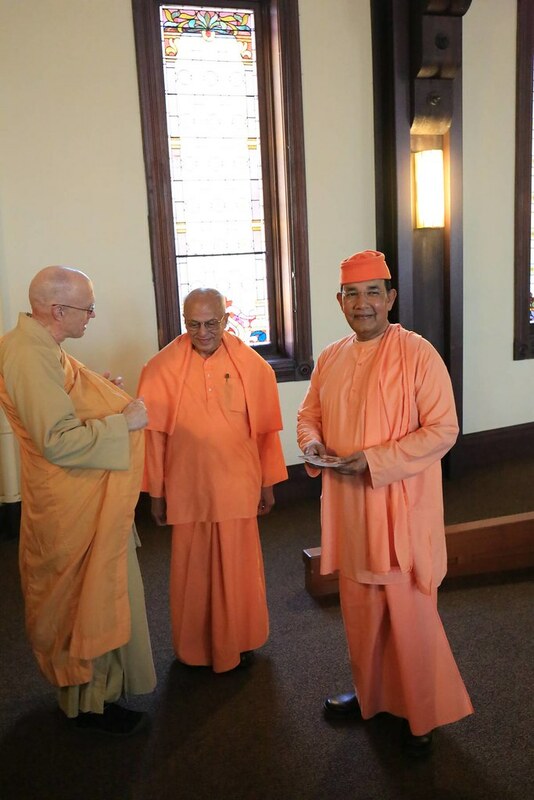 Through the venue of the liberal and intellectually oriented First Unitarian Church of Oakland, the swami found a forum for the dissemination of Vedanta in the East Bay. 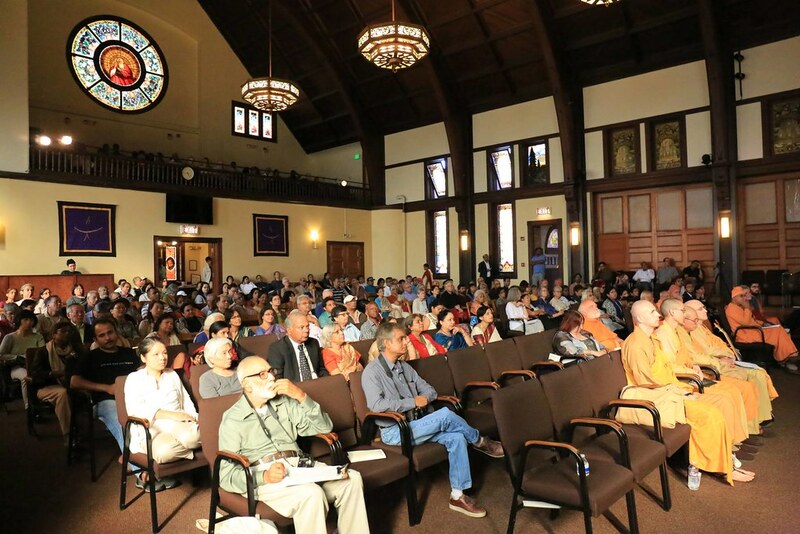 Vedanta Society of Berkeley organized an interfaith meeting on 8 September 2018.